Many factors contribute to deterioration of our health nowadays. The world we live in today has become terribly polluted. We are exposed to countless numbers of chemicals and toxins from our surroundings and even from food. Additionally, there has been a growth in the consumption of processed foods and we happily abuse our bodies by consuming pharmaceuticals. This along with fast food, constantly spending time in front of computers and televisions as well as consuming alcohol and smoking has led to an increase of illness and diseases. Fast food has taken over the world by storm. We consume junk food frequently without even thinking about the consequences. The younger generation, especially, has been targeted by many fast food joints attracting them to hang out with their friends while consuming large fries, massive burgers and fizzy drinks. The alarmingly rate of obesity ratio, not to mention an increase in hear diseases and more, is mainly because of not eating healthy and consuming saturated fats from this food type. Fungicides, pesticides and herbicides are sprayed on the food whilst they are growing and at the time of harvesting in order to reduce the chances of spoilage and increase marketability. Coffee beans are sprayed by fungicides, majority of drugs given to animals are not even government approved, and animals being slaughtered are given synthetic hormones to increase their growth. All this has major negative impacts on our health. With an increased burden of work, increased prices of basic necessities and other personal problems, stress has become a common part of our lives. Long term stress exposure results in serious health issues as they disrupt our body’s system. Constant stress leads to infertility, stroke and other heart diseases, high blood pressure, speeding up the aging process and even rewiring your brain, which makes you vulnerable to depression and anxiety. The rise of technology has provided countless benefits to the world but has also lead to a number of problems as well. Constantly working on computers, spending hours on social media, watching television, and addiction to cell phones, has resulted in a major decrease in physical activity in our lives. Lack of exercise has made us even more prone to the many diseases. Even though we understand perfectly well the importance of exercise, we are too tired or too lazy to actually to a little exercise even for a few minutes! Consuming alcohol and smoking has become a prominent source for us to cope with stress. The fact is that this actually increases our stress levels and contributes in making us more vulnerable to more diseases like cancer and heart problems. At our wellness center, we incorporate lifestyle counseling as part of our many wellness programs for various conditions, especially infertility, pregnancy support, autoimmune disorders and weight loss. Please call us at 786-537-7022 to learn more about our programs and to schedule your first visit. 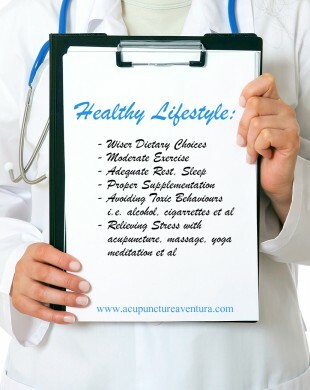 Optimal health and wellness is just a phone call away!